If you haven’t tried crunchy fried tofu, you are seriously missing out. Perhaps not the healthiest thing out there when all dressed up, as a vegetarian protein option it’s top of my list and it’s sooo easy! Soy and tofu tend to get a bad rap because it comes highly processed and most of it is genetically modified unless labelled otherwise. There are so many amazing benefits to soy though and the reality is the processed soy is in everything. I personally choose to eat soy in moderation and only select non-gmo and organic tofu. 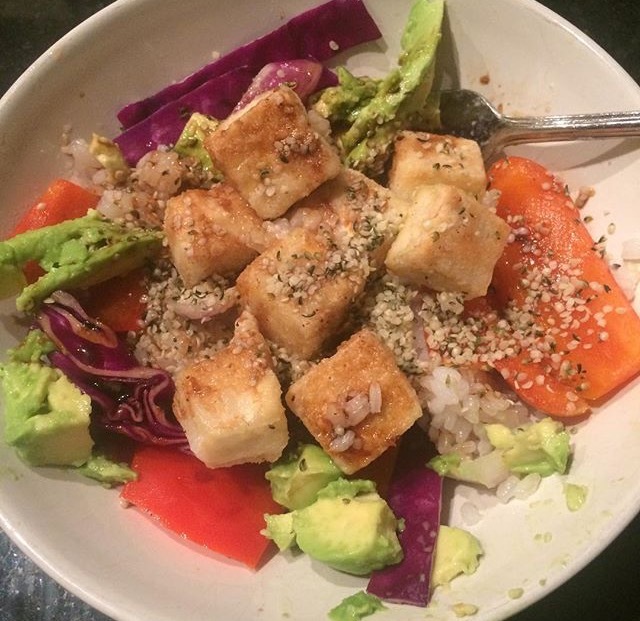 There are many health benefits to eating tofu including it’s protein content for vegans and vegetarians. This article does a great job of breaking it down.